I opened my eyes around 6:30 on Sunday morning. I could hear the tap, tap, tap of raindrops on the roof of the RV. 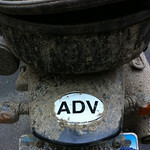 As my brain started coming around my thoughts immediately went to wondering just how muddy the ride would be. Everyone seemed to start coming together all around the same time. It was kind of like an organic happening. 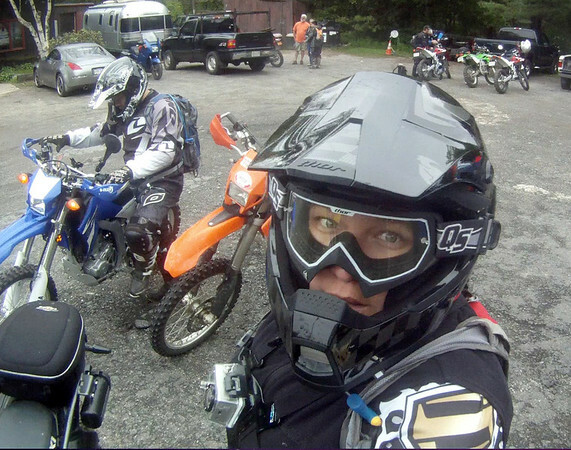 There was the general excitement in the air of knowing that soon we would be heading out on our ride. 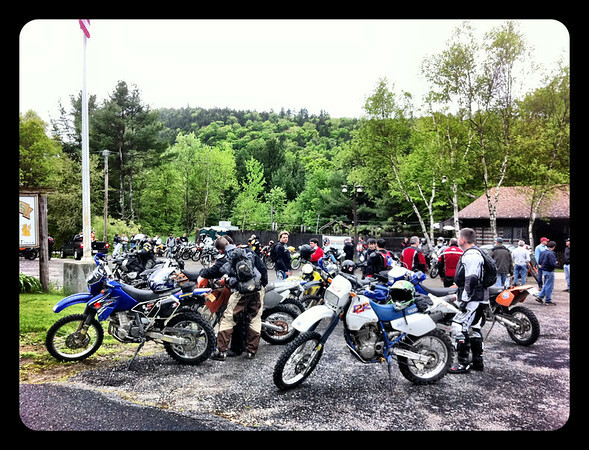 At 9:00am, the riders for the 100 mile dual sport loop were set loose. It was go time. I tried just ride my ride and not immediately hesitate when the course looked like it was going to start getting tough. I feel like I approached the riding with a little bit more of an open mind. And most of all I think I did my best, riding with my head and not over it. I’m so glad I went. Now I just need to work on what’s between my ears and learn to give myself a little bit of a break. I had a great time, learned a lot, made some new friends and came home in one piece. You are my hero. Really. Doing this required skill and courage. I love the purple sneakers with stars in the prior post. Dual sport motorcycle riding… fashionable dressing… is there anything you can’t do?? I concur that you didn’t hesitate on any terrain from what I saw and that says a lot. See you had fun despite initially thinking you weren’t riding that well. And if your having fun then it is worth doing. Wow! 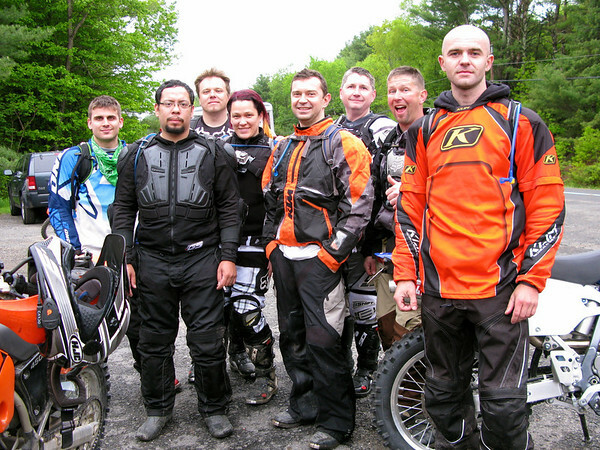 That’s some serious fun, mud, wet riding. Loved the video. I haven’t done anything like that since I was in high school in old, abandoned strip mines. My Vespa would die at the first water crossing. Did you edit out the parts of the video where you didn’t look like an expert? Wow, those were some tough trails, you are really good 🙂 the water parts are tricky since you never know how deep they are and you were flying through them, I’m impressed. Great post. I found useful informations for my research. Thanks! The days are counting down! Roadside Americana: The Scary Pie Lady of Frackville PA.